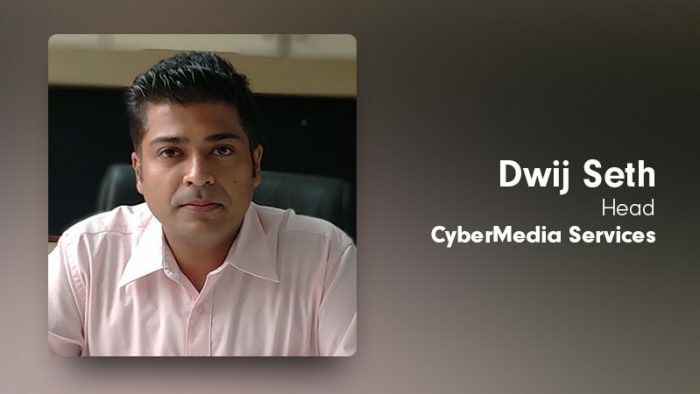 CyberMedia Services has onboarded Dwij Seth as President to head its Digital Marketing Business. Dwij brings over 13 years of rich experience in sales, business development and strategy across education, BFSI, Internet and technology sectors. Across his senior executive roles, Dwij has a successful track record in building up high performance teams. CyberMedia Services as a Google Premier Partner and has been steadily expanding its digital marketing practice to include social media management, content strategy, SEO and lead generation. CyberMedia Services currently handles over 5 billion digital ads per month and has handled a wide variety of digital marketing assignments. The group also continues to invest in setting up programmatic platforms, allowing brands with targeted access to publisher inventory.